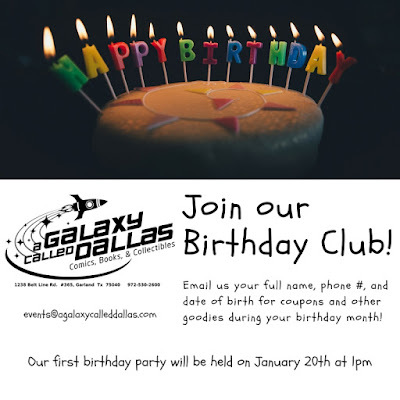 A Galaxy Called Dallas: Announcing the Birthday Club! We'd like to start off the new year by celebrating our customers and so to do that, we've created the Birthday Club. Members of the Birthday Club will get a one-time use coupon that can be used anytime during their birthday month. They will also get an invite to a birthday party for members of that month. We will celebrate with cake and drinks and during the event members will receive a discounted shopping spree. To become a member, email us your full name, phone number, the email that you would like to use to get the coupons, and your birth date. Our first birthday event will be on January 20th. Sign up now to receive your first coupon! One birth date per email per customer name can be registered. You may also email us with any other questions that you have. 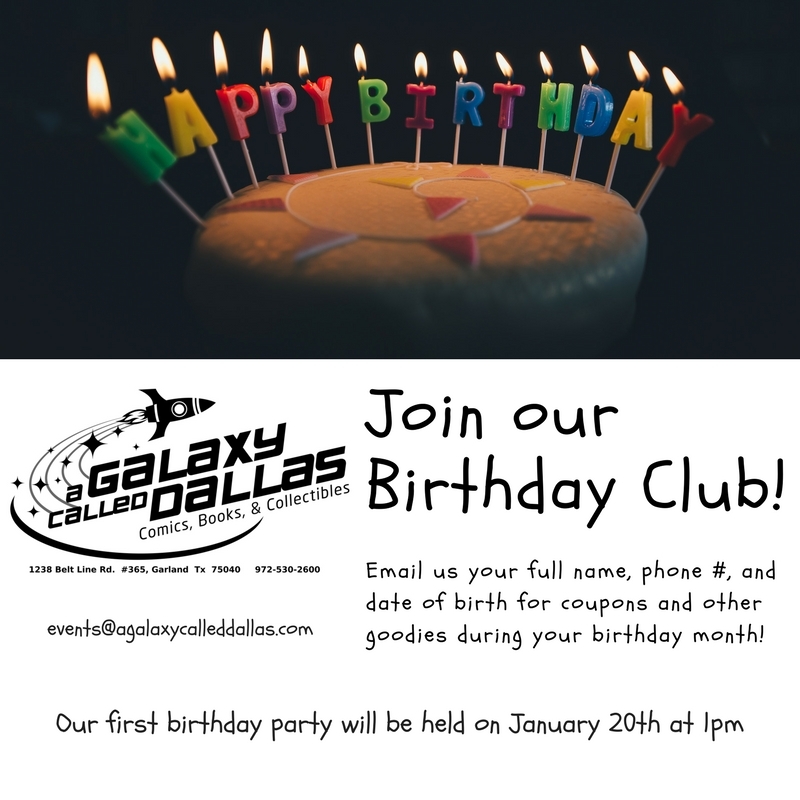 To register or ask questions email us at events@agalaxycalleddallas.com.